In the late 1980’s I received through the USPS a plan wrapped book from an un-existing Washington D.C address. Upon unwrapping it I found a copy of Anthony Sutton’s very rare (at the time) book “How The Order Controls Education.” (free online book). Antony Sutton — Tony — has passed on. Antony C. Sutton with Elizabeth Clare Prophet, on the Order of Skull & Bones, America’s Secret Establishment, Montana, February 28, 1984. 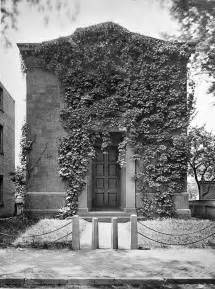 Photo: “The Tombs”, Skull and Bones Secret Society headquarters at Yale. Dutch documentary made in 1998/1999 by Daan de Wit and Helmut Schleppi for Evangelische Omroep (EO), with professor Antony Sutton, Anton Chaitkin, Stephen Mumford, Rodney Stich, Terry Reed, Jim Tucker, Webster Tarpley, Gerard Aalders, and others. 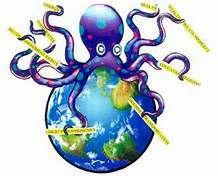 Topics: Skull & Bones, America’s Secret Establishment, Monopoly Capitalism, World Monopoly, Averell Harriman, Prescott Bush, George H.W. 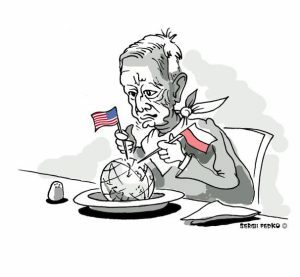 Bush, Adolf Hitler, Trading with the Enemy, the CIA, Eugenics, Overpopulation, Ronald Reagan, Jimmy Carter, Iran-Contra Affair, Oliver North, Mena Arkansas, Drugs Trafficking, Arms Exports, Bill Clinton, Cocaine Importation, Bohemian Grove, Bilderberg Conferences, Prince Bernhard, Queen Beatrix, Katharine Graham-Meyer (Washington Post), and more. Published on Thursday, January 22, 2004 by Pacifica Radio’s Democracy Now! “A little-known fact unites Democratic front runner John Kerry and President Bush: they are both members of Yale’s secret society Skull and Bones. We speak with the author of “Secrets of the Tomb: Skull and Bones, the Ivy League, and the Hidden Paths of Power” that reveals details about the secret society and its members”. . . .
Bush and Kerry are fellow bonesmen and close relatives, both related to the Queen of England as did many past US presidents. 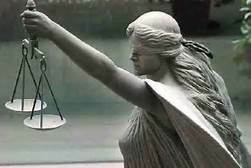 To establish the continuance of the connections between the different post’s in this series Skull and Bones is one of the offshoots of Illuminati in America. 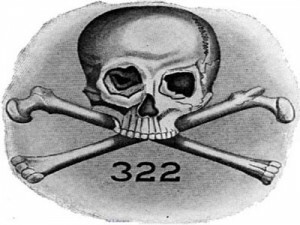 The best understanding of Skull and Bones and their goals was spelled out by researcher extraordinaire Antony C. Sutton in his highly documented book, “America’s Secret Establishment: An Introduction to the Order of Skull & Bones.” (FREE E-Book). At a major juncture in his life, Rob in the Pagé family began down a road less traveled to free himself from fear, government control, and reliance on public energy and food supply, and shares his journey that led him “Off The Grid”. Ben: Stewart and Dan Stewart, creators of Esoteric Agenda and KYMATICA, focus the essence of this film around the journey through transitional and groundbreaking moments in a human’s life. Thanks to Ben Stewart for allowing me to upload this full length video to my channel. The DVD is available on his website at http://talismanicidols.org/ or http://esotericagenda.net/ Watch the sequel to Esoteric Agenda, Kymatica here: http://www.youtube.com/watch?v=AanQ2m.. In 1968 my step grandfather, Mr. Ethan Allen saw that I was interested in History and that I read all the time. With that knowledge he took me under his wing to educate me in secret history that almost no one knew at that time. He had been a high ranking member of two secret societies but had quit them because he didn’t like the direction their knowledge was taking him. 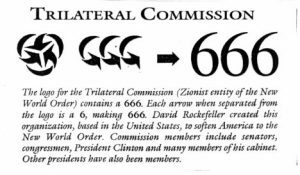 Among other things he taught me about the the Controllers secret plan to create a One World Order with the goal of enslaving the peoples of the world and the details of the Federal Reserve Scam and where it fit in that evil goal. in the 1970’s I decided to take that knowledge further and learn all I could on the subjects. The first book I read in that research was Eustace Mullins “Secrets of The Federal Reserve”. Not only did I come away from that book with concrete information but I also was very impressed with the depth of his research. I realized that if I was going to pass my knowledge on to others I had to present solid documentation to back up what I was saying. Image: Interest free 1860 Nation Currency of the United States. 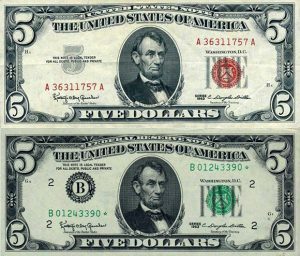 Image: (Top) Non Interest bearing 1963 United States Note issued by JFK under Executive Order with no connection to the FED. (Bottom) Interest bearing Federal Reserve note which is actually not money at all but part of the Controllers scam to rob Americans of our Country’s wealth. From 1961 until 1963 I was a Medic in the 82nd Airborne. Every payday before paying the troops they had to go thru a “shot line” we would set up. We as medics wondered why we all needed from 4 to 6 shots almost every month. With a little digging one of my fellow medics found out that the military was using us to test new vaccinations. We medics decided this was ridiculous so we didn’t take the shots. We “penciled in” our shot records as though we had. During my time as a medic I realized that, although the troops in our charge were always coming down with colds, flu and other problems, we medics who didn’t take the shots never got sick. Strange? I still do not take any shots or vaccinations except for insulin for my diabetes even though my family, friends and Doctors say I MUST take them. 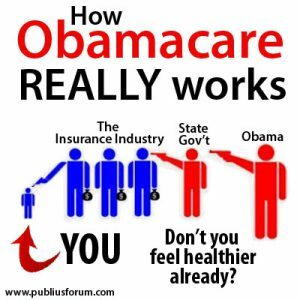 I did not go to a doctor in my whole life until my late 60’s. (I’m now 73). Other than a mild cold or sore throat now and then I Have never been seriously ill. . . . Your Editor Dennis Crenshaw. Global Sciences Congress, January 1990, Tampa Florida. 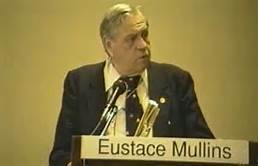 One of Eustace Mullins’ best lectures. Filmed by Wes Mann during one of Eustace’s two lectures for the 3rd Festival of the Ages in Salmon Arm BC, Canada, August 2000. A Wes Mann/Conspiracy King Production. 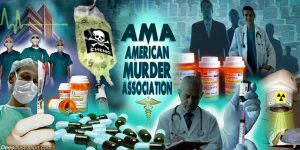 A Better Quality DVD is available from Wes Mann at http://www.conspiracyking.com/466-COU.. Global Sciences Congress, Denver, August 1993. 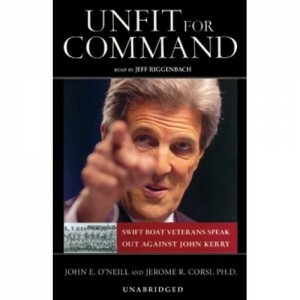 Featured Image: Official portrait of U.S. Secretary of State John “I’m a Vietnam Vet” Kerry. SOURCE: Wikipedia. 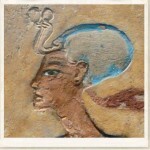 (Public Domain). John Kerry. 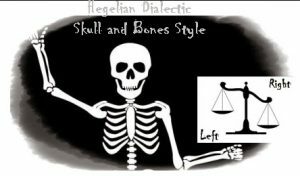 Member of Skull & Bones just like George Bush and the rest of the Bush Crime Family. Spent less than a year in South Vietnam, yet reminds people of his “service” every other sentence. The guy wrote himself up for Purple Hart medals for outpatient “wounds” and carried a 8 mil camera around with him, staging scenes to make himself look like a hero. Film to be used during his planned future Presidential bid just like Scull & Bones told him to do. Problem was . 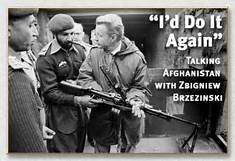 . . the real heroes of the Swift Boat he was stationed on. They told the truth about his “tour” of duty. He was lying. Am I surprised he was caught in another lie -off on his pleasure boat – where he was when he was suppose to be “Reporting for Duty” again? COMMENTARY | One of the more annoying aspects of the (non)coup that overthrew the Muslim Brotherhood regime in Egypt was the question of where Secretary of State John Kerry was when the regime change went down. I’ve often commented that Obama makes appointments based on the desire to make himself look better; obviously (rather than for the good of the country) Obama also looks for easily manipulated and/or thuggish politically devious staff. How else to explain Hillary Clinton? Timothy Geithner? Eric Holder? Is this weird and vertically elongated Skull the one from Andover? 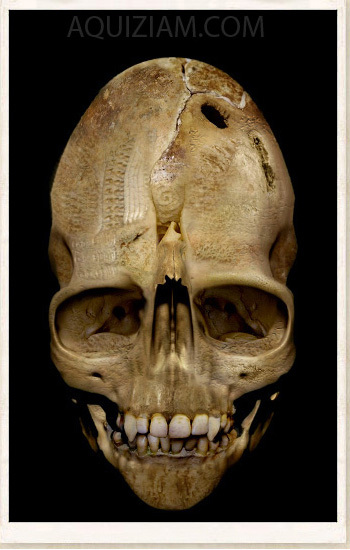 Real or Hoax – We’re not sure but it’s a fantastic picture. . . .
Archeologists in Siberia have discovered an unusual series of ancient, mishapen skulls. Archaeologists are convinced they’ve unearthed the secret behind the world’s most famous painting, the Mona Lisa.Buried beneath the floor of a convent in Florence, Italy they’ve found a skeleton they believe belonged to Lisa Gherardini, the model who posed for Leonardo’s da Vinci’s mysterious masterpiece. Lisa Gheradini, was the wife of a rich silk merchant named Francesco del Giocondo. In Italy the Mona Lisa is known as La Gioconda.Most modern historians agree that the lady depicted in the Mona Lisa was Lisa del Giocondo, who became a nun after her husband’s death. She died in the convent on July 15, 1542, aged 63.An archeological team began digging at the abandoned Convent of Saint Ursula last year.They first had to dig through thick concrete, laid down ahead of plans to turn the convent into an army barracks.